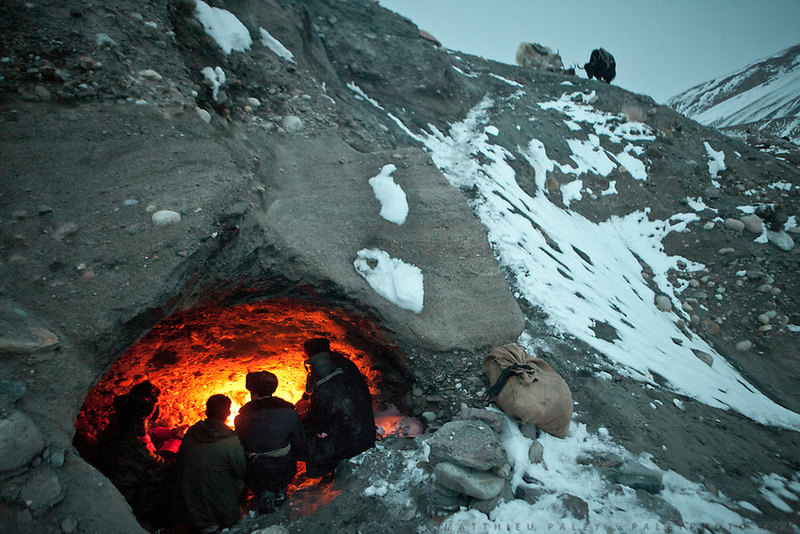 Kyrgyz men seek shelter in a shepherd's cave during the icy five-day trek down from their mountainous homeland to the nearest trading village in Afghanistan. They will barter livestock, wool, and dairy products for everything from tea to television sets...In Zan Kuk. .Trekking back down from the Little Pamir, with yak caravan, over the frozen Wakhan river.